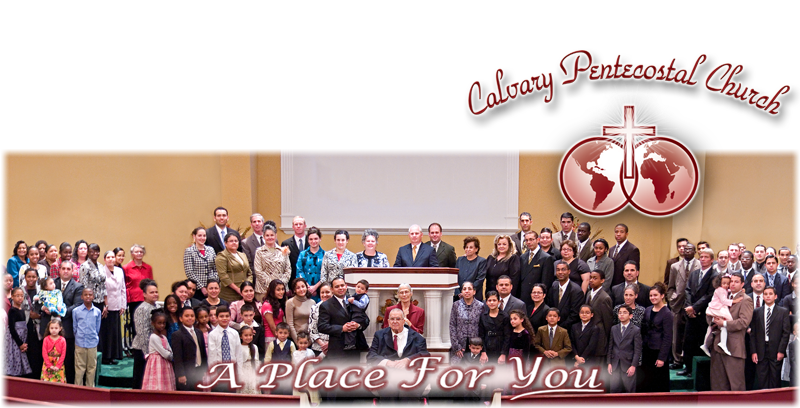 A Brief History of Calvary Pentecostal Church of Kendall, Inc. In August of 1985 Pastor Darrin Johns, his wife Ruth and their two young children initiated the humble beginnings of Calvary Pentecostal Church. Their efforts began with teaching Bible Studies and holding services in their home. During this time there was a very small group and new contacts were established. On March 6, 1986 the church incorporated with the State of Florida and began to hold services in a rented facility on Southwest 132nd Court in Miami, Florida. The church experienced steady growth from a handful of people to around 50 in regular attendance. The church outgrew their first building and in June of 1988 they moved to their second location also on Southwest 132nd Court where they remained until July of 1990. During these years the church suffered the loss of many members who were in the military and were transferred to other bases. The church however continued to grow steadily. When the congregation outgrew the second facility they once again moved a short distance to a new rented facility on Southwest 120th Street that doubled their building space. In this new location the church continued to experience steady growth. In August of 1992 our church family was devastated by Hurricane Andrew. Our building was heavily damaged; all of the pews, instruments, song books and other church furnishings were a total loss. Many of our church families lost their homes and nearly half of our congregation was forced to move out of the area. After the loss of half our members and the loss of all of our church furniture and equipment we began the process of rebuilding. In January of 1993 we were able to dedicate our reconstructed facilities with new pews, instruments and other equipment with as large a congregation as we had prior to the storm. The church remained at this third location until May of 1999. During their time at this third location the church continued to grow, became more financially sound and saved money to purchase the property where the church is presently located. There were a few years of transition and temporary facilities until the church finally moved into their present home in February of 2002. At present, the church has a 10,000 square foot facility located on 10 acres on Quail Roost Drive and 137 Avenue. God has continued to bless Calvary Pentecostal Church with steady growth and a faithful congregation. We are so thankful to God for His providence and blessing through the years and we believe our future is much brighter than our past.